PT Wijaya Karya Realty - WIKA Realty is a rapid growing realty and property company in Indonesia and is a member of state-owned construction giant PT Wijaya Karya (Persero) Tbk (WIKA Group). As of December 2017, WIKA Realty is 90.88% owned by WIKA Group, 8.88% by Cooperative Karya Mitra Satya, and 0.24% remaining shares by WIKA Foundation. WIKA Realty running business in realty development, property management and construction services. WIKA Realty has its business activities focused in landed house, high rise building (Apartment, Condotel, Office Mix Use), industrial estate, and also property management. 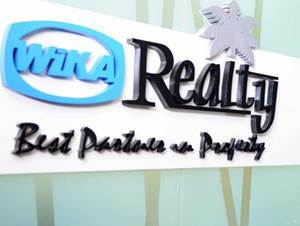 WIKA Realty is based in Jakarta and now has 38 unit offices across 12 provinces in Indonesia. According to information found in PT Wijaya Karya Realty Annual Report 2017 as cited by JobsCDC.com, WIKA Realty reported total net sales of Rp 1,527.75 billion in 2017. This number is down 25.42% year-on-year (YOY) as compared with total net sales booked in 2016 amounted to Rp 2,048.52 billion. WIKA Realty's comprehensive income current period was down 53.13% at Rp 175.40 billion as compared with Rp 374.30 billion in 2016. Minimum S1 degree in Management, Communication Studies, Public Relations and D3 degree in Visual Communication Design. Skilled in operating graphic design and related software. Strong understanding about marketing mix, market research, and analysis of competitors. The candidates with prior experience in the field of marketing or sales of at least 1 year is preferred. Communicative and have a wide networking. Have organizational experienced will be an advantage. Minimum S1 degree in Civil Engineering, Architecture Engineering. The candidates with prior experience in construction / property projects is preferred. Fresh graduate are welcome to apply. Minimum S1 degree in Accounting, Financial Management. The candidates with prior experience in the field of accounting/finance/taxation is preferred. Good communication skill, able to work under pressure and attention to detail. JobsCDC.com now available on android device. Download now on Google Play here. Please be aware of recruitment fraud. The entire stage of this selection process is free of charge. PT Wijaya Karya Realty - D3, S1 Fresh Graduate, Experienced Staff WIKA Group November 2918 will never ask for fees or upfront payments for any purposes during the recruitment process such as transportation and accommodation.